So for the last few days I’ve been in Hungary for a work trip and I have to say that it has been such a wonderful trip! I’ve been getting so much inspiration for dishes to make when I get back to the states so definitely stay tuned! So what does this have to do with Grain Free No Bake Double Chocolate Cheesecake? Absolutely nothing! 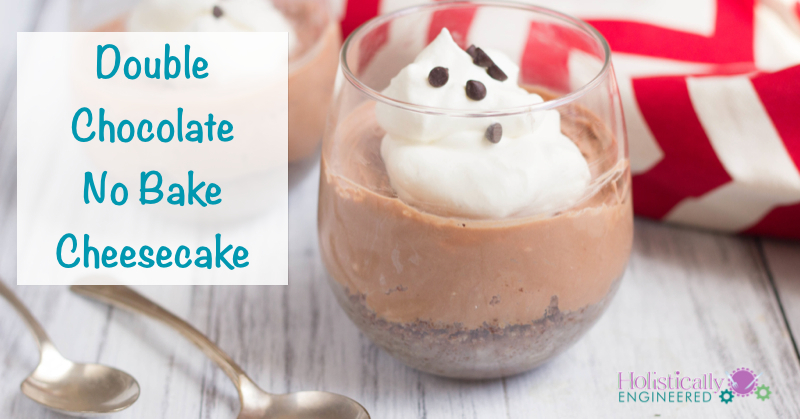 But before I left for my trip I decided to make a chocolate version of the no bake cheesecakes that have been popular on my blog lately. 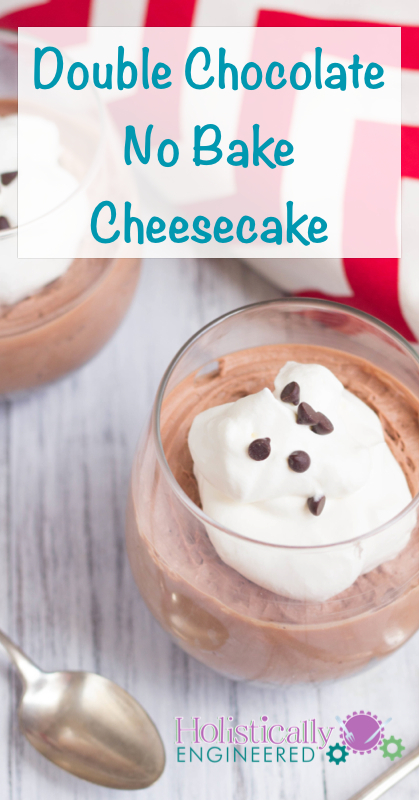 In case you missed the original No Bake Cheesecake (get the recipe here) or the No Bake Lemon Cheesecake (get the recipe here) you can check out these delicious desserts too. For now enjoy this delicious Grain Free No Bake Double Chocolate Cheesecake and follow me on Instagram (@holisticallyeng) to see pictures from my Hungary trip. In a high speed blender or food processor, blend the mixed nuts, coco powder, sweetener, and cinnamon until finely ground and sticking together. After scraping sides of the bowl, add the the cream, cocoa powder, and vanilla and whip (I used a whisk attachment on my mixer) on medium speed until light and fluffy (about 2 minutes). Divid the mixture evenly among the four bowls/glasses. Serve immediate or refrigerate to completely set.